Deborah Morris, SVP of commercial lines for Verisk and a speaker at the upcoming Women in Insurance event in New York, worked at AIG for 25 years before joining the data analytics company. During that time, she gained valuable experience working in many areas of AIG, including commercial lines, distribution, and the excess and surplus division, while also getting the opportunity to work overseas in London and Hong Kong for a decade. In this Q&A, Morris shares insight on how to take a significant career step forward, where the industry could do better at promoting women, and the issues she sees affecting her line of work right now. Before coming to Verisk, you worked at AIG for a number of years. Do you have any advice to other women hoping to make a similar career change? Be confident! Although I didn’t previously work at a data analytics company similar to Verisk, I was confident moving to Verisk because of my vast experience in general insurance and my broad skillset – I knew they would add value to the company. Has the insurance industry developed since you started your career and where can it still improve, in regards to promoting the advancement of women in this field? Although it has developed, continued improvement is needed. Progress has been made in the lower and middle management layers, but the promotion of women to senior leadership roles in the industry has not kept pace. 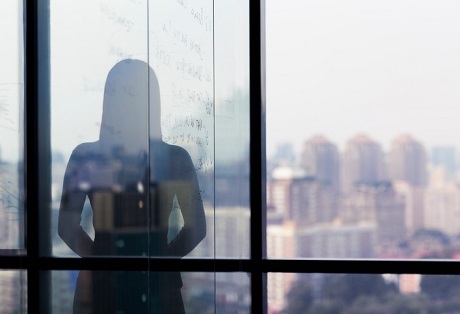 Companies must proactively seek opportunities to promote talented female business decision-makers into senior leadership roles, which, among other things, will help them gain further critical diversity of thought. Continued training of senior management in the importance of diversity and in the damage of unconscious bias is key. Reliance on men and women in senior roles to promote and give opportunity to women is a must. Blind resume reviews when hiring from the outside is a good tactic for finding the most qualified person, and ensuring a diverse set of candidates for internal promotion is best practice. While I appreciate and support corporate goals and personal goals of leaders regarding diversity, promoting women into leadership as a quota-driven achievement cannot be the only way to ensure our future success. What role does mentoring play in this, and how can leaders find and start that meaningful mentorship? Mentoring plays an important role in ensuring the future achievements of women in insurance. I have mentored many women during my career, and been mentored myself by a woman, and the lessons learned (from both mentor and my mentees) have helped me to be a better leader. But, mentoring is not a gender issue. All future leaders should have mentors, men and women. The quality of the mentor and the engagement of both the mentor and mentee is what makes a difference in the outcome of the relationship and what leads to future achievements of women and men in the industry. What issues stand out to you as ones having a significant effect on commercial insurance today? Data – it’s the new oil. It seems nearly every company is working to harness data, enhance and analyze it, and secure tools and solutions to help them make better decisions about risk. Further, predictive analytics and machine learning will have a profound impact on the market and how it assumes risk.